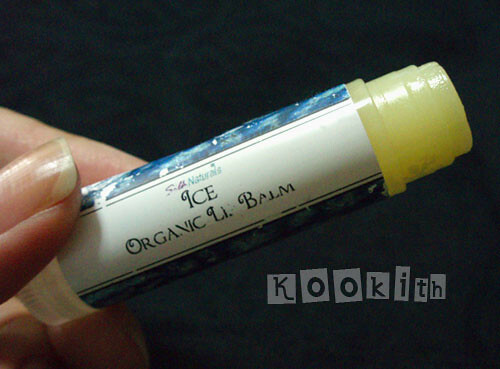 An organic menthol lip balm from the Valentine’s Day 2011 collection. The formula used to create Ice is the latest, and ladies on the SN forum have affectionately nicknamed the formula “Version 3”. Version 1 lip balms were very “wet” (as in, they melted upon contact with your lips), glided on easily, and were extremely moisturising, but the down side was that these did not last very long – if you ran your tongue over your lips, the lip balm was gone. 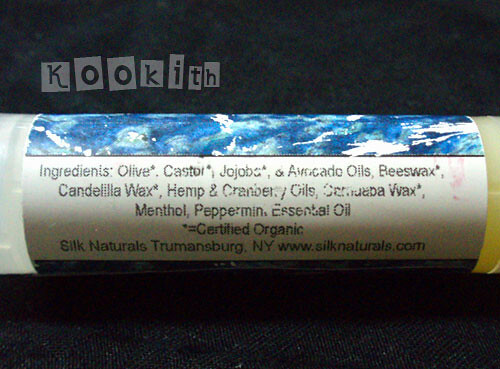 Version 2 were the buttercream lip balms, and were very waxy, thus super long-lasting. I would put this on at night and my lip balm would still be there in the morning. These tugged on my lips and did not glide on easily, and I had to kinda rub the balm into my lips vigorously. Despite being long-lasting, Version 2 felt heavy and weren’t moisturising. The owner, Karen, made Version 3 as a happy compromise – Version 3 lip balms are supposed to be moisturising yet long-lasting, without the feel of a waxy coating on the surface of your lips. The Best Lip Product In The World (to me). Enough said. The thing I hate most about natural lip balms are that they never taste the way they smell. I love minty stuff, and I like the cool and tingly feeling on my lips. I want that cooling minty taste to be really STRONG, so I love Ice. When I was living in Australia, the climate was extremely dry, and I often had chapped lips during winter time. This would be perfect for those poor, weather-beaten lips. The menthol would soothe the pain and the moisturising lip balm formula would heal those cracks. Even now, in Singapore, being in an air-conditioned environment for 20 hours a day will dry out my lips if I don’t coat it with lip balm every night before bed. Sometimes, when my lips begin to burn after a meal of intensely spicy (but incredibly delicious) food, I would slather them in Ice to counteract the heat. It works marvellously. To be honest, I wish Karen would amp up the menthol a few notches. I really won’t mind if she accidentally tips in a whole heap of menthol and peppermint essential oil into the mixture. I’d buy Super Ice, I really would. It could be just me though, I’m weird like that. All that being said, I still love the Version 1 lip balm formula the best as it really is the most moisturising, despite its lack of lasting power. However, Version 3 is pretty good too and I really like that it isn’t waxy. I totally need more of this stuff. Packaged in a clear, 0.15 oz lip balm tube. You can request for lip balms as your Gift with Purchase if you spend $30 and above. It’s not just you, I could totally go for mintier too!